2017 was the year of SZA. The American singer had been bubbling under for nearly half a decade, and after a drastic change to her sound and a record deal with Top Dawg Entertainment enter a state of stasis, she finally released CTRL, an R&B/Nu Soul opus that was as remarkable for its honesty as it was kitschy for its over emphasized nasal Nu Carlifornia accent. But CTRL as an album resonated with millennial women across the world who found her honesty and her uncanny ability to lay bare in the inner workings of their relationships and lives. SZA also proved a source of inspiration to many young female singers across the world trying to figure out their sound in a music industry that seems bent on forcing everyone into a mold. Maka has never been one to obey any moulds. Her sound has morphed and evolved since she released her critically successful debut EP. But her most recent body of work, ‘CTRL+M’ is different than anything she’s ever done, partly because it is first EP of homage driven songs, and marks her formal entry into the R&B/Nu Soul championed by SZA and populated by singers like Kehlani, Kali Uchis and Jorja Smith. The first thing you notice about the new EP is that Maka’s voice is incredibly suited to this new sound. Her slight rasp lends an earnestness that often never really found expression in her home genre, soul. Here it reads as angst and anger and frustration and despair, all needed in a soupcon of unrequited love. The second thing you notice is that when Maka calls this an album of covers, she is being tongue-in-cheek. She only loosely riffs off SZA’s album, taking a melody here or a line there. The finished product is all hers. She strips away the heavy production, calling on Just Acoustic and her longtime collaborator BigFootInYourFace, to create sparse instrumentation on which she can just explore. When SZA does feature, like the chorus on ‘Bad Enough‘, it is like coming home to an old friend. CTRL+M is more experimental than full-on, all-out project and you hear this best on ‘No Be Me’ the EP biggest deviation from the SZA sound. There is true musicality and some incredibly interesting vocal runs that tease Maka at her best, but not quite there. 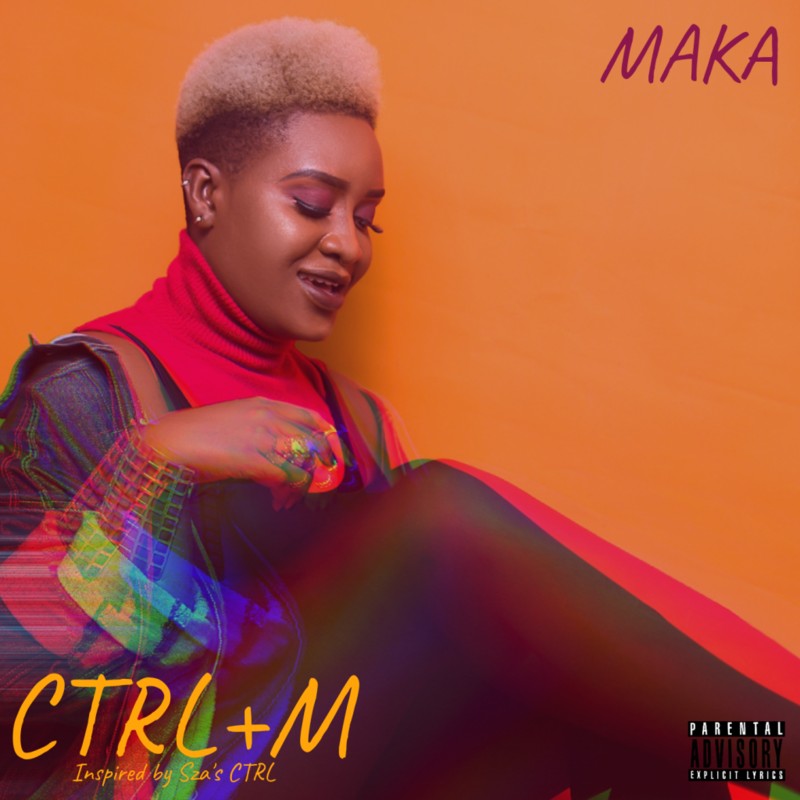 If anything, the hesitation to go all out is a good thing, a reminder that Maka’s debut album will be a thing of beauty.